The increasingly absurd Fast & Furious franchise made audiences believe that two men can hook their cars to a giant safe and drive around Rio, a tank can plow through a highway with no consequences, and Ludacris can play a role as a tech genius. Taiwanese-American director Justin Lin is responsible for the most essential movies of the series, beginning with the third installment (Tokyo Drift), with his last film in the series being Fast & Furious 6. Per Variety, star and producer Vin Diesel now claims that Lin will be back for 9 and 10. Diesel made the announcement during a surprise Facebook stream, calling Lin the “forefather” and “architect” of the series, and “the one responsible for resurrecting this beautiful saga.” Additionally, Diesel mentioned the return of actress Jordana Brewster to the series, whose character left along with a retiring Brian O’Connor (played by the late Paul Walker) at the end of Furious 7. Lin’s contributions to the series have emphasized practical special effects and precise stuntwork—while Furious 7 (directed by James Wan) and The Fate of the Furious (directed by F. Gary Gray) continued this trend, the results were a bit cartoony for some fans’ tastes. After directing the sixth film, Lin moved on to direct episodes of the second season of HBO’s True Detective and the well-received Star Trek Beyond. 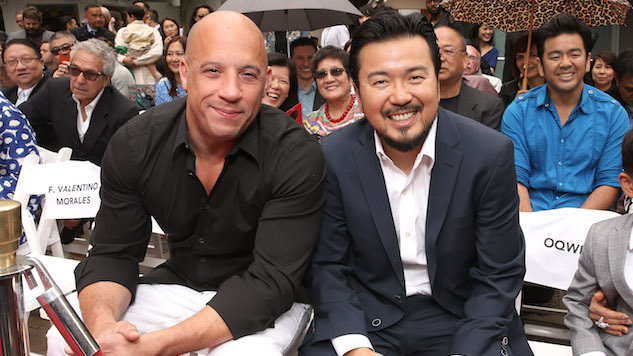 Lin’s return might make Fast & Furious’ sometimes-childish stars behave, with Dwayne Johnson appearing to feud with co-star Tyrese Gibson after a Fast spin-off with Johnson and Jason Statham pushed the ninth film’s release date back a year. The spin-off is scheduled for release by Universal Pictures on July 26, 2019, with the ninth film (which will absolutely get an absurd title, and could very well take place in space) planned for April 10, 2020.